Over a year ago, we put out this article on The Cross-Selling Roadmap. It’s an article we’re constantly referring back to, because this concept really is the basis for growing a large, successful business with hundreds of loyal and satisfied clients. It’s the concept we always go back to when we try to help agents become more successful. So, while the concepts behind this article are the same as they were last year, we have made a few more adjustments to the actual Client Needs Assessment (CNA), and we’d love to share those updates with you. → A Client Needs Assessment (CNA) is a 10-part questionnaire that you go through with both new and existing clients in order to pinpoint their pending insurance needs. Every time we go through a CNA with a client, we’re evaluating how each question is perceived by that client. If we slightly change the question, how does it change the flow of the conversation? If we add a different follow-up question, does it help us move toward our goal more efficiently? It’s that desire to improve that has led us to the new and improved Client Needs Assessment, and it truly is better than ever! Before we get started, download your copy so that you can follow along. Why Should I Use Your CNA? For starters, we know that a lot of agents out there already use something similar to this. Some call it a Needs Assessment, some call it a Fact Finder, but at the end of the day, it’s a questionnaire meant to gather information about your client. But what’s different about the CNA we’ve tweaked over the years is that it’s not data-driven. It’s conversation-driven. It’s meant to gather information but in a way that’s comfortable for your clients. It’s designed to get your clients to make the sale for you – not the other way around. Once we go through each question, you’ll understand how powerful these questions are. Is There Any Proof That a CNA Actually Does Anything? You’re better serving the needs of your client. One of our agents has been in the business for close to 30 years. She has always been a top producer, and she has been in the top 3 in our Agent of the Year contest for the last 10 years (and has won it several times). We ran the numbers, and once she started using a CNA, her sales increased by 88% over the course of a year. Another one of our agents saw his sales increase by 76%. I personally saw my sales increase by 474%. I know that sounds like a made-up number, but over the course of one year, my sales went from $296,000 to over $1.7 million. And that’s the truth. 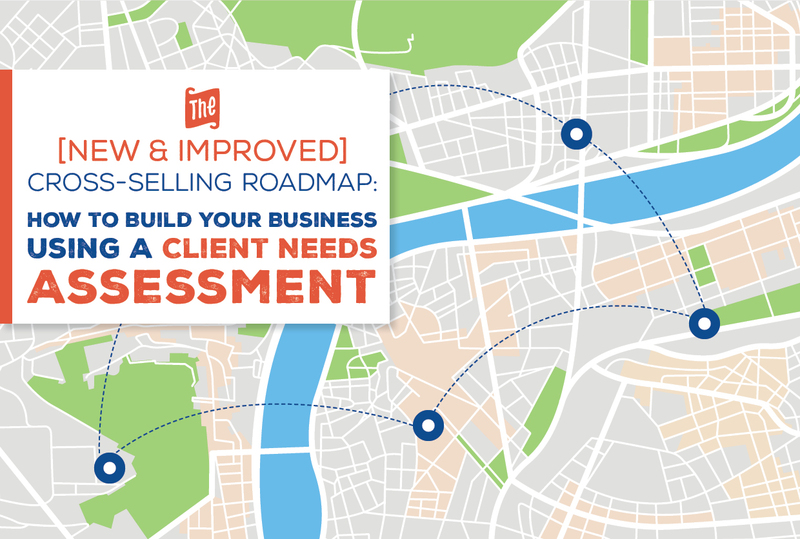 The bottom line is this roadmap makes it easy to at least double your sales. Each question has been strategically chosen to reveal all existing needs to both you AND the client. Many clients are unaware that they’re missing a certain type of coverage, and when you ask these questions, they start to get it – without you being pushy or salesy. 1. Have you had any claims in the last 2 years? We didn’t make any changes to this question, because it’s pretty straight-forward. Even if a person is turning 65, they’re in open enrollment, and they can get a Med Supp and not have to pass any health questions, you still want to find out about their recent claims. It tells you what the options are for other products you’re going to mention on this assessment. In any case, this first question just gives you a great initial snapshot of health. If they have Parkinson’s and you’ve just uncovered that in the first question, you know you won’t waste your time talking about the need for long-term care. They won’t qualify, so you won’t end up talking about it. So, if they tell you that they have a condition that automatically disqualifies them for another product, you’ll know to skip some of the later questions in this CNA. 2. Which parts of Medicare do you currently have? We also didn’t make any changes to this question, because some of this is a conversation piece. It gets the client talking and makes them feel more comfortable, which will help when we get to some of the more personal questions later on. You can also determine how to move forward with the rest of your consultation based off of whether they’ve started their Part B, etc. This is also when you can uncover if there’s an employer involved or if they’re a veteran. If they haven’t started their Part B because they’re still on their group health plan, this could be a great time to help them determine if switching to Medicare + a Med Supp could be a good option. 3. Do you carry a Medicare Supplement or Medicare Advantage Plan? The answer to this will send you in very different directions. It’s important to get a snapshot of their entire portfolio. If they’re in a Medicare Advantage Plan, there are certain times of the year that you can drop it and switch to Original Medicare. I would build a case to switch to Original Medicare because it’s often a better deal for the client. 4. What Plan/Company do you have? Why did you decide on that plan? You want to get the nitty gritty details of their coverage so that you can see if they’re getting a good deal. If you know they’re paying more than they need to, you can offer a more competitive rate for their current plan. Now that we’ve gone over some of the basic questions, we’re going to get into the second half of the CNA. These questions help you find additional needs that you might’ve skipped over before, and this is the section we’ve made some major updates to. 5. Do you have a history of cancer, heart attack or stroke in your family? We’ve updated this question to include heart attack and stroke. Previously, we only asked if the client had a history of cancer in their family. The fact of the matter is that the critical illness plans we recommend the most cover all three of these conditions. By making sure we’re being thorough, we might uncover a history of heart attack or stroke, which can help support the need for critical illness insurance. If they have a family member that’s had one of these conditions, then they already know the costs associated with it. This question brings that to the forefront of their mind. You’re moving the discussion from the product to the need for the product, and you’re making it personal. It’s a very psychologically charged question, and it’s the perfect way to bring up this subject so that it resonates and gets your client thinking. If you have a good conversation about this, consider packaging a cancer, heart attack, and stroke plan with a Medicare Supplement. If they don’t need a Med Supp, simply suggest adding on a critical illness plan to what they already have. 6. Have you had a family member use home health care or go into a nursing home? We’ve attempted asking this question in a few other ways, but we’re sticking to the original question in this case. Make sure to mention both home health care and the nursing home! How did they pay for it? The reason you aren’t flat-out asking if they have long-term care insurance is because only 5% of the population does. There’s a good chance that they don’t, and the follow-up question, “How would you pay for it?” will stop you from giving an unnecessary pitch if they already have it. If they haven’t had experience with it, you need to create the need in your presentation. If they have, you can save your breath on the presentation and instead piggyback on their experience to sell a long-term or short-term care policy. Keep in mind that this isn’t about selling just to sell – we believe that there’s a serious need for these insurance products, and you’re doing a better job by making sure your client understands and agrees with that need. 7. Do you currently carry any life insurance? We found that by simplifying the question, it was easier to have a good conversation with the client. The original question was essentially a two-part question, so the client would be ready to answer, and you’d end up interrupting them with the second half of your question. What is the cash value? If you have life insurance, what purpose does it serve? Finding out the purpose for their life insurance (if they have it) will help you determine if they have an adequate death benefit. For example, if they have a $5,000 life insurance policy with the purpose of paying final expenses, you know you need to talk with them about beefing it up a bit since the costs of funerals are much higher than that. 8. Have you made any arrangements to take care of final expenses? Sometimes, you should skip this question, especially if you’ve already covered it in the previous question. Also, note that if they have life insurance and it’s between $8,000-$25,000, it’s most likely intended to take care of their burial and final expenses. But, if they don’t have life insurance, or they have life insurance and it’s $100,000, I now know that final expense needs to be talked about. You can tag on a final expense policy to a Medicare Supplement with ease. In any case, if they don’t have final expense insurance, you can build the need by asking this question. If they have a pre-paid funeral in place, you shouldn’t be trying to pitch final expense insurance. 9. Are you satisfied with the present rate of return on your investments? Previously, this question also introduced the subject of their 401(k). Since then, we’ve decided to simplify this question to only cover investments. We’ll get to the 401(k) in the next question. Are you dealing with the stock market or the bank? You’re essentially trying to uncover where their money is, and what their return is on that money. A lot of people have no idea what their return is. This is a way for you to continue the conversation and make some recommendations. Your gameplan here is to ultimately discourage having all of their savings in the stock market due to risk, and you don’t want all of their money in the bank due to a low interest rate. The happy medium here is generally a fixed annuity, and if you want to read more about the different types of annuities, go here: The 3 Annuity Types: Not All Annuities Are Created Equal. 10. Do you have a 401(k)? We actually didn’t have a tenth question on the previous CNA, but we’ve decided to give the 401(k) it’s own space. If you have someone that’s turning 65, ask them if they have a 401(k). Have you rolled over your 401(k)? If Yes, what did you roll it into? Some clients might not even know they can move their 401(k) once their employer is no longer making contributions. If they have a 401(k), it might be advantageous to take it out and roll it into an annuity. Not really sure how to do this? Check out this guide: How to Help a Client Roll Their 401(k) or IRA Into a Fixed Annuity. The medication list on the back of the CNA helps you by having that information on record. It’ll definitely help with future use on running Part D comparisons. You can read more about why you should do those here: The Surprising Truth Behind Doing Complimentary Part D Evaluations. Sometimes people will say they’re healthy as a horse, and then their medication list reveals otherwise, so this is also a way to truly measure their health. We used to go to someone’s door and see if we could sell a Medicare Supplement. And if that person didn’t need a Medicare Supplement, we were done. This approach — using a CNA as a roadmap — uncovers the entire portfolio of the client. You can brag on them about the things they’ve covered already, and then you can talk about the things they need some help with. Another huge advantage of the CNA is that it lays out all of the client’s needs right off the bat, so you don’t look like a greedy salesman when you try to sell something new each time you see them. That’s a heck of a foundation for your future with that client. Make sure your client can see you physically filling out the form. It lets them know that you’re catering your service to their needs, and you’re not just doing some standardized pitch to every client. If you find that a certain question doesn’t feel natural to your personality, tweak it! Many of our agents have adjusted questions in the CNA based off of what feels best and what has seen better results for them personally. We encourage you to experiment and let us know what’s working for you – that’s how we make updates like this one! Make sure to scan the completed CNA into your computer so you have a digital copy to refer back to. If you have a CRM, upload the scanned copy to that client’s record. We’d also love to know if you’re already doing something similar to this. If you are, let us know in the comments below.